The reason is simple to spread awareness. Few days back my crush asked to tell Instagram username. At that time I didn’t have an Instagram account, so I said to her that I won’t tell u I will follow u on Instagram then I created a new account in few minutes and started following her on Instagram. At that time, I don’t know how to use Instagram, so her account was private. But somehow I want to fetch her profile, so I started looking for Instagram hacks tried so many things but maximum time I have failed. Then I tried a more advanced trick to get her password finally I got her password but till now I haven’t accessed her account before accessing her account I want to tell her so many things so that she won’t feel sorry! Making a Phishing Page for Facebook is very easy.Don’t know what is phishing then let me, first of all, tell you in short what phishing is? Phishing is the attempt to get the personal information such as username, password, etc. by using a fake page! They send out e-mails that appear to come from the legitimate websites such as E-bay, Paypal, etc. and when you click those links they ask you to enter your details such as password, e-mail, Credit card number and once you enter your details the phisher will get all your details! In this tutorial, I am going to tell you how to make phishing page? NOTE: This tutorial is for Education Purpose only don’t misuse it, We will not hold any responsibility if it is being misused! And we support only ethical activities if u broke any law then we are not responsible !!! We have taken an example of Facebook to create a Phishing page, but you can make any Social networking site phishing page by following exact steps as listed below! I have created Instagram phishing page few months back which was successful but make sure you yourself don’t indulge in criminal activities. 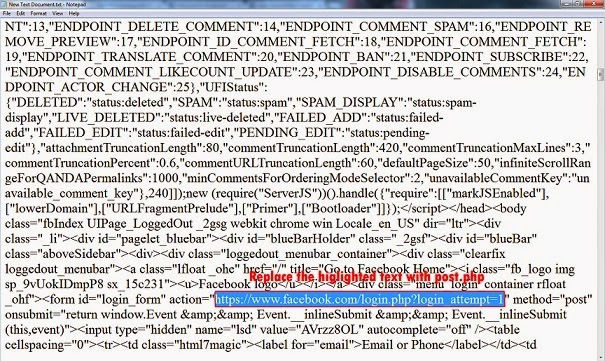 Download Post.php from the link provided: Click here to download it. Now go to www.facebook.com (Make sure that you are logged out! 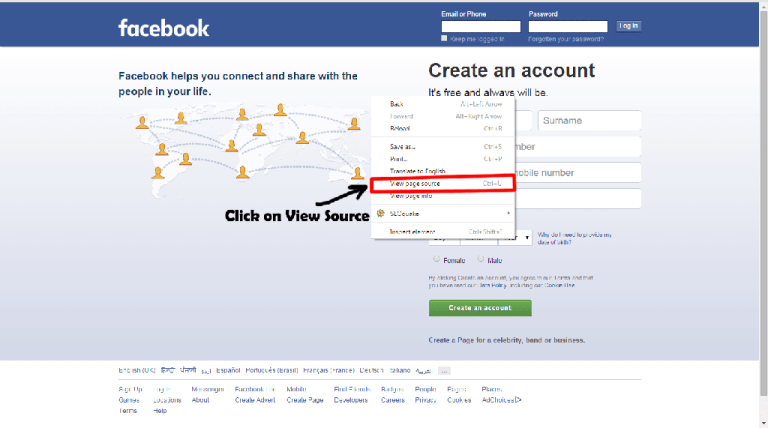 ).Now Right click anywhere on the Facebook home page and click on “view page source” from the menu. 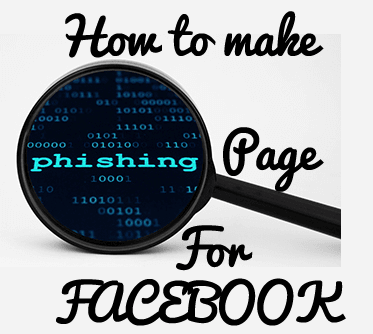 Alternatively, you can get the source code of any site like email, Facebook that as the login form and create the phishing page by following other steps as it is. After clicking on “View page source”, a new window will open with HTML coding in it.Press CTRL+A your keyboard to select the entire code and then press CTRL+C your keyboard to copy the code. Open Notepad and paste the whole code in it, now scroll notepad to the top. Press CTRL+F of your keyboard and find “action=” without inverted comma’s.there will be two “action=” you are interested in the first one. Go to File>Save as and save your file with the filename “index.html” without the inverted comma. Press O.K if it shows up a warning! www.my3gb.com click on the File Manager. After Clicking File manager now click on Upload file.Now upload index.html and post.php. That’s it you have successfully created a Phishing page for Facebook, to view the page just click on the index file that you uploaded on the www.my3gb.com and copy the URL from the address bar. You will get the password in the section file manager>upload file of my3gb.com under a file name usernames.txt. To view the password just click on the file! If you want to change the URL of Phishing page created, you can visit Google URL Shorter and change your URL name! I know more advanced trick in which URL Identification Is so hard that u can’t even distinguish between Phishing page and original site. Before u ask anything please, use Google and then feel free to ask as it will raise my knowledge level too!